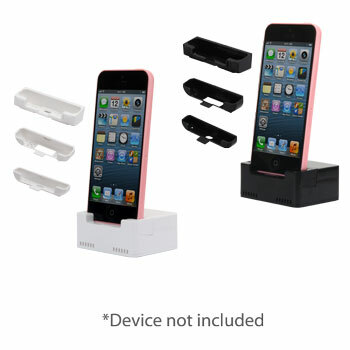 zDock ® has the unique design for Apple iPhone 5C, 5, 5S and iTouch 5 with zCover patented Dock-in-Case Solution. 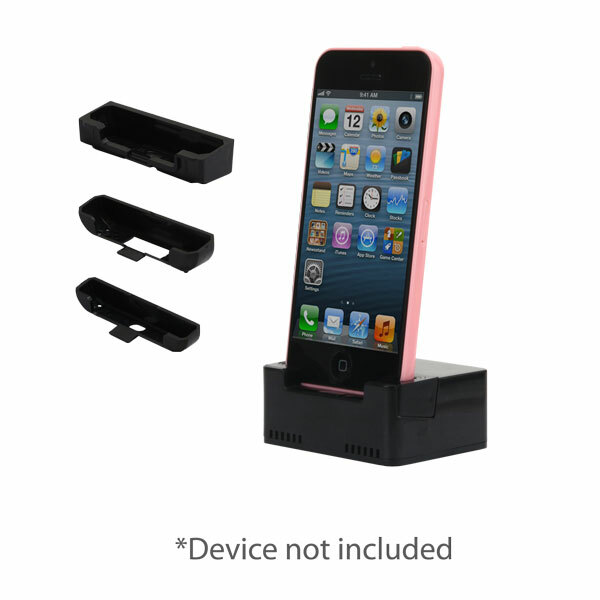 With 3 different docking cups included, you may charge your phone with our ruggedized case on, or just the bare phone. The compact design is convenient for travelers and business users. The docking cradle holds your phone at a comfortable reading angle. All docking cups are included. 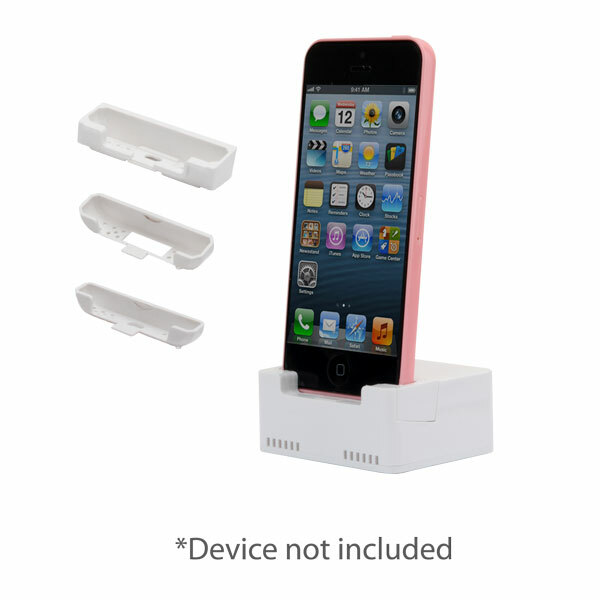 With added weight on the cradle base, charging dock can sit in place securely wherever you want. zCover Cable Adapter Dock come with 2 colors. You may use the same cradle base, charge differnt smart phones and tablets by just switching to different docking cups to the corresponding model.